Complete your rear disc conversion with this plumbing kit for 1986-93 Mustang 5.0L with rear disc brakes! Urethane Coating Resists Brake Fluid Damage. Teflon-lined, braided stainless steel hoses. 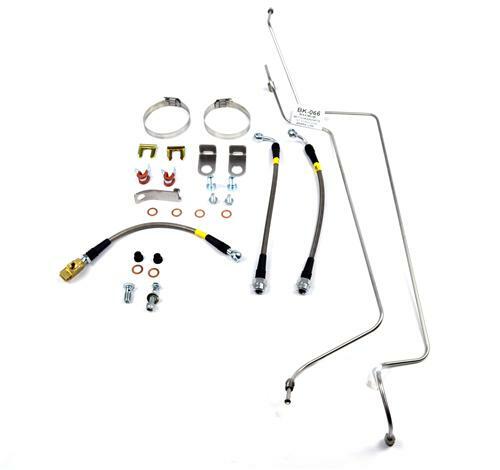 This brake line kit will make your life much easier when doing a rear disc conversion on your 1986-93 Mustang. 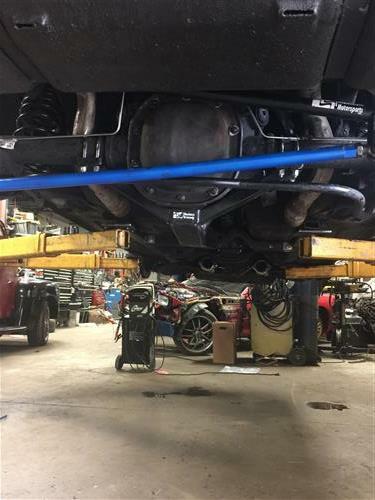 The unique stainless steel hard lines in this kit were designed by Maximum Motorsports to fit the 1986-93 Mustang chassis with 8.8" rear end. 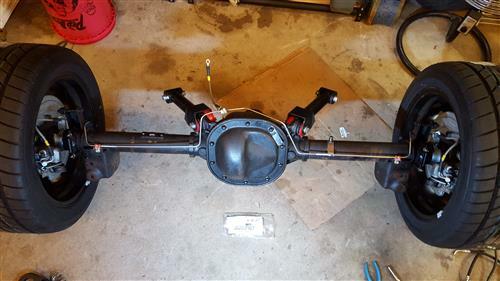 The lines and hoses clear the stock Fox chassis bumpstops, the quad-shock brackets on the 8.8" axle housing, and a rear coil-over conversion. 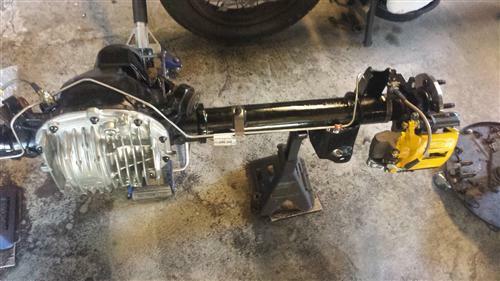 This kit eliminates the problems caused when trying to reuse drum brake hard lines with a disc conversion, and avoids the interference encountered when using the 1994-95 Mustang axle hard lines on a Fox chassis. 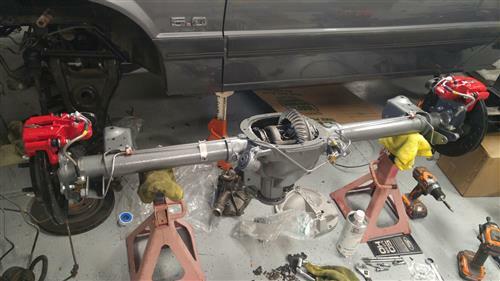 Features complete plumbing kit for 1986-93 Mustang 5.0L with rear disc conversion using four lug or five lug rotors. Kit includes all 3 rear soft hoses and stainless steel hard lines. 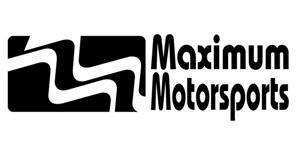 -Fits 1986-93 Mustang with 4 or 5 lug rear disc conversion.